You constantly hear about chatbots & AI, and wanna learn more about it? We are here to help. We put together the best sources for businesses to learn about chatbots and AI. 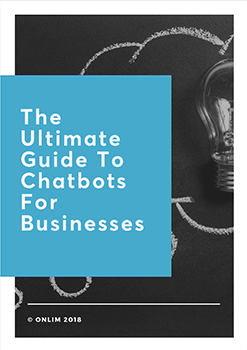 Our list will help you to stay up-to-date and learn how you can use chatbots and AI for your own business. Depending on which medium you prefer, you will find blogs, Facebook groups, Slack channels, online courses or newsletters that are dealing with chatbots and AI on our list. Chatbots Magazine: On this blog, various guest authors share tips in tutorials, checklists or best practices. Especially, if you want to improve your chatbot and want to know how other companies already use bots, it’s worth taking a look. AIMA: This Medium blog is dedicated to the usage of chatbots and AI for marketing. A must-read for all marketers! Chatbot’s life: On the one hand, this blog provides you with practical tips and tutorials for improving your bot. On the other hand, you get an overview of the different chatbot tools and best practices from a wide range of industries. ChatbotNewsDaily: This blog keeps you up to date with news from the chatbot industry. And above all, it gives an outlook how chatbots will evolve in the future. Onlim Blog: Can you take it a miss, that we mention our blog on this list, too? 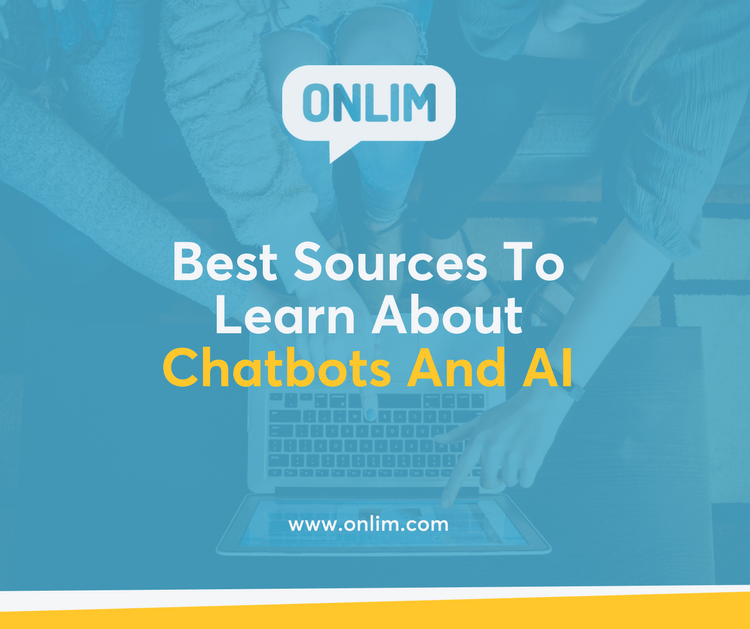 The Onlim Blog gives you a lot of tips on the topics chatbots and AI and helps you to improve your chatbots. Topbots: This blog offers a well-balanced mix of different topics around chatbots. The articles deal with topics such as business, design, technology, marketing, and customer service topics. Botsociety: Looking for valuable best practice examples? Then you should check out Botsociety. Here you find plenty of interviews with CEOs, designers or developers who share their experience about creating bots. Chatbot’s Life: In addition to questions and experiences about chatbots and the different platforms, the topics AI, NLP and Machine Learning are discussed in this group. Chatbot Marketing Experts: This group is aimed specifically at marketers and helps you to make your marketing strategy more effective with the help of chatbots. Chatbots for Businesses: This Facebook group discusses topics related to the use of chatbots for businesses. Chatbots & AI Group: This group offers the opportunity to discuss the use of chatbots on different platforms and is aimed at anyone who wants to create chatbots. Recime Community: Similar to the previous group, this group offers the opportunity to talk about bots and ask questions about its creation. Morph.ai: This group is specialized in topics around chatbots for conversational marketing. Udemy: Udemy is one of the largest online learning platforms and offers a wide range of topics such as chatbots and AI, for example, the course “Chatbot Mastery: Techniques from Facebook, Google, & Slack“. Here you will learn from chatbot developers, startups and established companies. They share their experiences with bots and how you can use these insights for your own chatbot. Coursera: The second major online learning platform besides Udemy is Coursera. Here you will find a lot of interesting courses on Chatbot and AI topics, too. For example, the “Deep Learning for Business” course gives you an overview of the versatile fields of application for deep learning and machine learning in businesses. You don’t want to participate in discussions or read countless blogs articles? A Newsletter description might be the right thing for you. Just subscribe to one of the chatbot or AI newsletter and receive the most important news directly to your mailbox. Chatbots Weekly: You would like to receive weekly updates about interesting chatbot articles? Then you should subscribe to the newsletter of Chatbots Weekly. It will provide you with the latest insights, trends, and tutorials about chatbots. AI Weekly: Similar to the Newsletter Chatbots Weekly, you will receive the most important articles around the topics Artificial Intelligence and Machine Learning on a weekly basis. O’reilly Newsletter: For anyone that already has a basic knowledge about AI, this newsletter is worth a look. It provides the readers regularly with more advanced content about Artificial Intelligence. Social Media & Chatbot Digest: And last but not least: Our weekly newsletter provides you with useful tips and tricks on Social Media and chatbots, too.